Come on. Give us a hug. Spiders have not featured regularly in this blog. If they have, the post has been accompanied by dire warnings of the images to follow (click HERE). The truth is though, that most spiders in Australia are not poisonous to humans and are beneficial because they remove (eat) pests such as flies and mosquitoes. Some spiders are even really pretty. 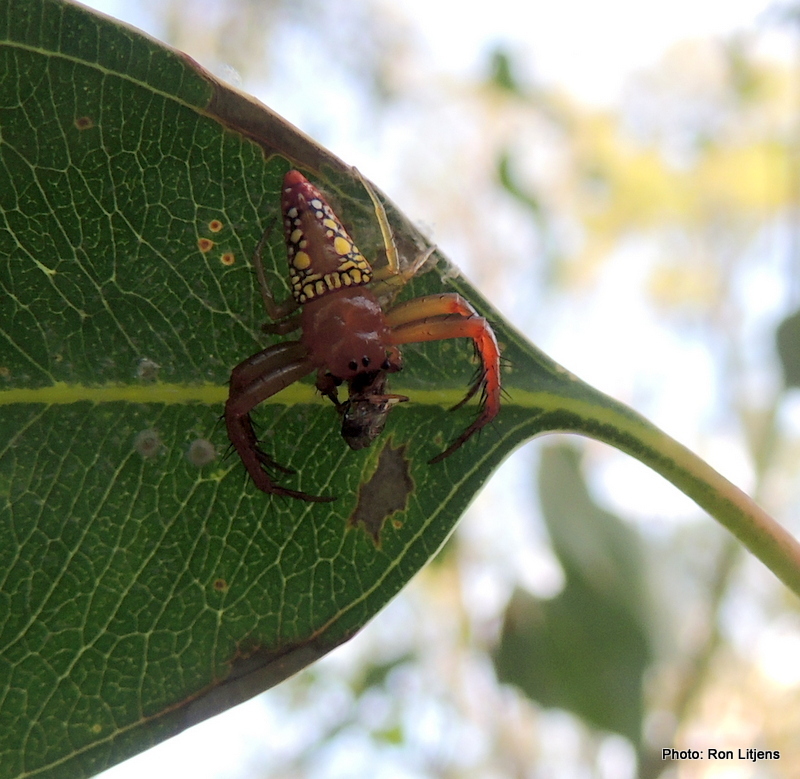 A case in point is the Triangular Spider (Arkys lancearius) pictured above. 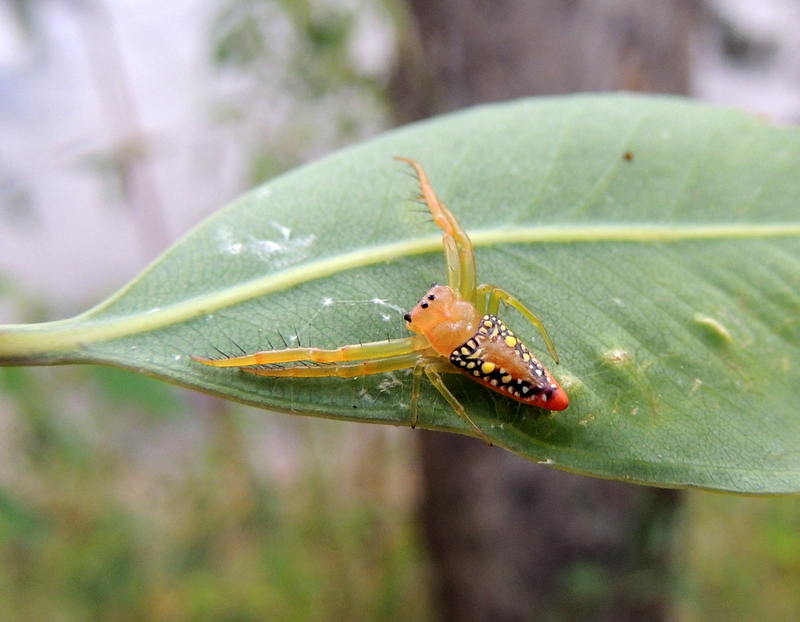 Named because of its triangular-shaped abdomen, many spiders of this genus are brightly coloured with patterns of red, white and yellow dots. 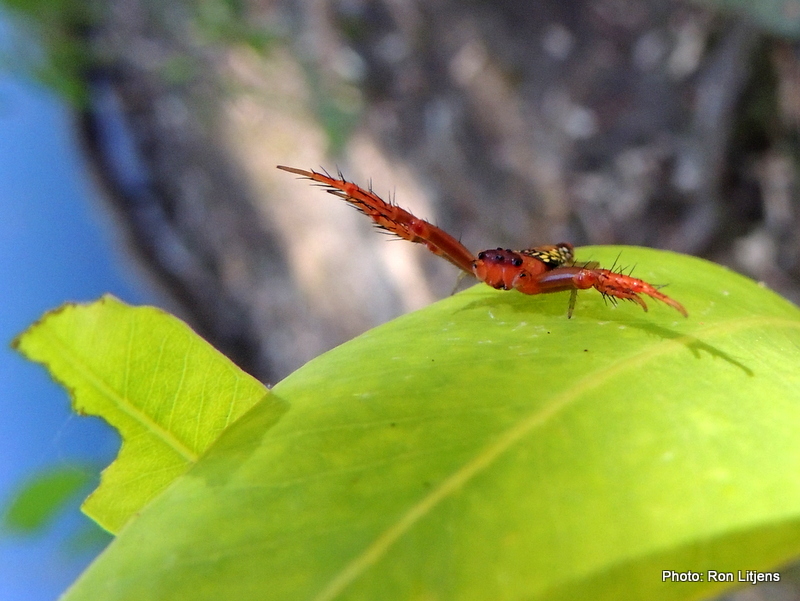 motionless on a leaf with their front two pairs of legs extended and grabbing their victims when they fly past. How could you not love a creature with such a welcoming embrace?